My "dress to kill" will be incomplete if I don't talk about footwears. For a girl like, who has more than 50 pairs of footwears stocked in her shoerack for every occassion, shoes/ballerina flats/sandals probably are the most important part of any attire. Why are shoes so important for me? The first thing that I notice in a guy, or a girl for that matter, are the shoes. The choice of footwear tells a lot about the person. The choce of fotwear with what he/she is wearing is another thing that tells a lot about the person's decision making capabilities. No, really. Summer is the time when one really looks for comfortable and airy footwears. Who likes sweat afterall! I have always felt that men really have a limited choice to fluant when it comes to footwear. Leather shooes are the ultimate elegant thing to wear, but sadly they can't be worn with everything. Floaters are something that are, no matter how comfortable, not meant for every occassion. And you have to dress really casual to wear them. They don't go with semiformal clothes. Loafers, I feel, are a solution to everything. They are easy to wear. You just have to slip into them. 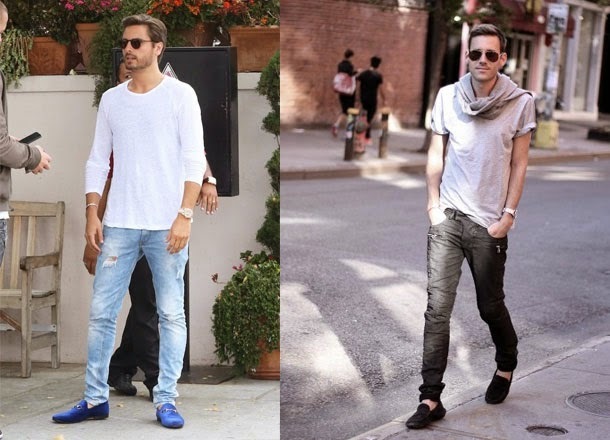 Loafers are a perfect companioin for both casual and smart casual look. They look good when you have to suit up. And you don't have to wear socks with them, unlike leather or any other shoes. 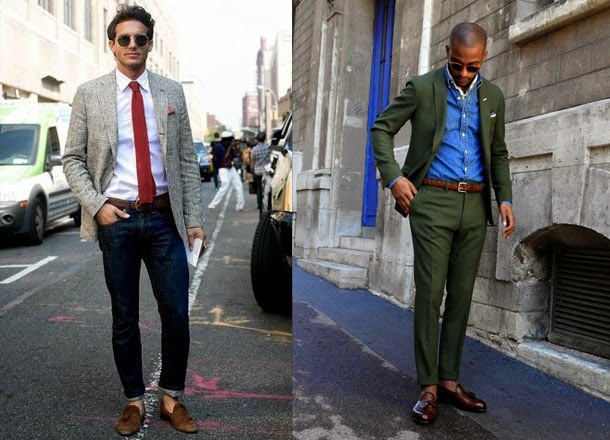 Loafers, if worn and carried with style, looks good with almost all kind of attire. Loaefers are going to stay there for a long time to come and they are definitely going to keep you in the trend spotlight if you fluant them! Men have a limited choice in footwear as well as clothes too when compared to women :P. By the way 50 sounds like an interesting number. Would love to know how frequently you buy and discard ;). I just bought Loafers few months back and they are so so comfortable to wear, them make style statement too! That just gave me a new idea for my next blog post. And yes, that would be dedicated to you! I know right! They are comfortable and make a trendy style statement! I just love when people flaunt them in the most innovative and stylish ways! I love them too! Hi 5!